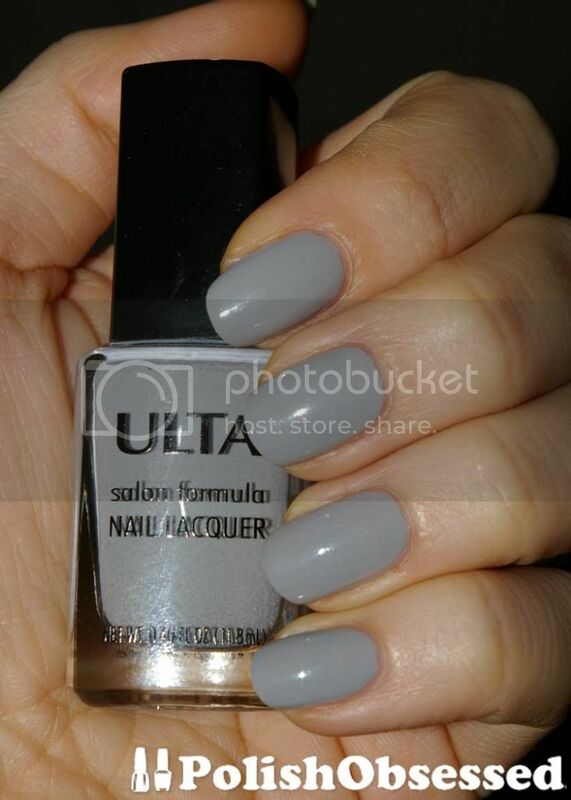 Today I have a polish I actually received last year for Christmas, and it is the first ever Utla brand of polish I have ever tried. 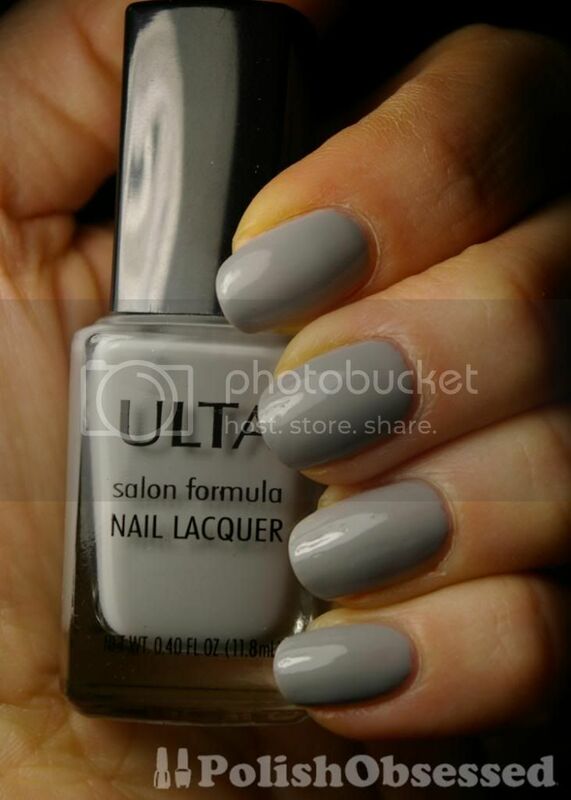 Concrete Evidence appears to be from Ulta's Salon Formula line and is a light grey crème. The formula was actually pretty good, I only needed two coats for full opacity. I did find it to be a tad in the thick side but I evened it out by adding some thinner to the bottle before applying my second coat. The colour is nice as well, another nice neutral. I find that the grey does tend to lean a little to the blue side, my boyfriend actually pointed that out!